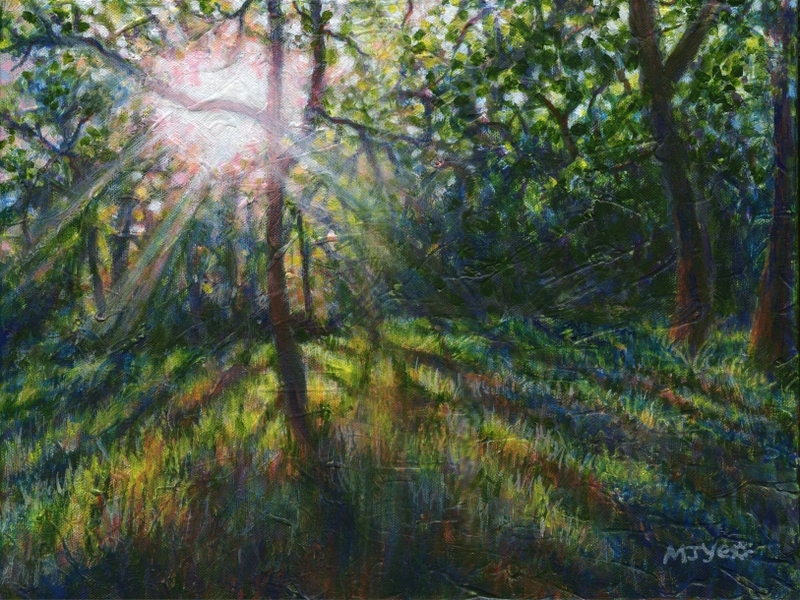 One morning while camping in the forest, the sun's rays suddenly burst through the foliage, highlighting leaves and radiating a warm glow. These special moments are often fleeting as the light and weather change constantly. It's nice to be able to capture a moment like this in a painting.